and Christian-Jaque), Venice Film Festival, for Les Perles de la couronne , 1937; Best Director (with Carl Froelich), Venice Film Festival, for Heimat , 1938; Grand Biennale Art Trophy (with Walt Disney), Venice Film Festival, for Snow White and the Seven Dwarfs , 1938; Bronze Berlin Bear, Berlin International Film Festival, for Cry, the Beloved Country , 1952. Died: Hollywood, California, 13 October 1961. Durgnat, R. A Mirror for England , 1970. Richards, J. Visions of Yesterday , 1973. Cripps, T., Slow Fade to Black , 1977. Armes, R., A Critical History of the British Cinema , 1978. Korda, Michael, Charmed Lives: A Family Romance , New York, 1979. "Zoltan Korda," in Film Dope (Nottingham), no. 31, January 1985. Fischer, Dennis, "A World of Childhood Delights: The Thief of Bagdad ," in Filmfax (Evanston, Illinois), no. 60, April-May 1997. Along with older brother Alexander and younger brother Vincent, director Zoltan Korda played an important role in the revitalization of British cinema in the 1930s, after the passage of the Cinematographic Act in 1927 created financial conditions favorable for domestic production that could compete with Hollywood. Assimilated Hungarian Jews of immense artistic talent, the Kordas seem unlikely candidates for such a role, but turbulent social and commercial conditions within their own country, as well as a lack of good fortune with production in Austria, Germany, and the United States, brought them to Britain. Alexander founded London Films in 1931, and it remained an important center of production until his death in 1956. Though Zoltan directed films for other producers, sometimes with no little success, he did his best work in partnership with his forceful and flamboyant older brother. Vincent, who became one of the most noted art directors of the period, contributed importantly to a number of Zoltan's films. Service during World War I with the Austro-Hungarian army meant that Zoltan was away while Alexander was founding the Hungarian film industry virtually single-handed and beginning publication of that country's first serious film journal. Invalided out of the army after being wounded in a gas attack, Zoltan joined Alexander's production team at Budapest's Corvin studios and worked as an editor. It was at this point that he adopted Alexander's new surname, adopted from the Latin motto sursum corda or "raise up your hearts." Though not communists themselves, Alexander and Zoltan cooperated enthusiastically in the nationalization of the film industry during Hungary's brief flirtation with state communism in 1919. The right wing coup that toppled the communists and the establishment of the anti-Semitic Horthy regime led initially to Alexander's arrest, but Zoltan, a wounded former officer, was able to obtain his release. Fleeing the country, the Kordas tried their hands in Vienna and then Berlin, where Alexander achieved a modest success producing a few films, one of which, Die Elf Teufel ( Eleven Devils ), Zoltan directed in 1927. Alexander soon left Germany for Hollywood, followed by Zoltan, but the brothers made little impression on the American film industry. Established in Britain, Alexander, soon joined there by Zoltan, initially turned his hand to the making of "quota quickies," low-budget programmers designed to fulfill the terms of the 1927 act, which required exhibitors to screen a certain percentage of domestically produced films. Alexander, however, was not content merely to fill such a niche. His bawdy costume drama, The Private Life of Henry VIII , made a modest fortune and, more important, was the first British film in many years to be exhibited profitably on the other side of the Atlantic. The evolving Korda formula, soon taken up in earnest by Zoltan, was simple enough: an almost jingoistic celebration of the empire and aristocratic British traditions, with an emphasis on engaging, exotic spectacle. With Sanders of the River , Zoltan proved that he could oversee as successful a film as Alexander. Appropriately derived from an Edgar Wallace story (Wallace was perhaps Britain's most popular middle-brow novelist at the time), Sanders portrays the success of an undergunned and outnumbered British district commissioner in putting down an incipient tribal rebellion in colonial Nigeria. Though many of its interiors, shot in England, have a stagy look, the film is in fact a semi-documentary. Korda traveled to Nigeria with a crew of twelve to spend four months filming authentic exteriors and, especially, native dances and other ceremonies. The plot hinges on the rivalry between a "good" chief (that is, one loyal to the British) and a "bad" chief (that is, one who resents colonial rule). Paul Robeson is, perhaps strangely, cast as the semi-articulate good chief, whose obeisance to Sanders was seen as somewhat excessive by some even at the time. Robeson eventually condemned his participation in the project, protesting, somewhat disingenuously, that the resulting film surprised him with its unflinching support of colonialism and the paternalistic racism upon which it depends. Sanders , no doubt, provided unquestioning support of empire and the necessity for the European stewardship of Africa. Audiences in Britain and the United States, however, were probably more intrigued by its generous portrayal of exotic animals and peoples, including unabashedly bare-breasted women. The film is less political tract and more adventurous romance in the tradition not only of Wallace, but also of H. Rider Haggard and Rudyard Kipling (one of Korda's favorite authors). Zoltan's next solo projects were in the same vein; they made London Films a good deal of money and helped establish the British film industry, if only briefly, as an international rival to Hollywood, formerly the world's sole supplier of such spectacular fluff. Elephant Boy , adapted from a Kipling short story, skillfully blends actual footage of the Indian jungle (footage shot by Robert Flaherty, the famed documentarian) with a flimsy plot and studio interiors. The film's star is the adolescent boy Sabu, a kind of Indian Tarzan who communicates with the animals and aids in the capture of wild elephants for white hunter Peterson, whose livelihood depends on their successful trapping. The formula, including a central role played by Sabu, was recycled in Drum , where the young man plays a youthful satrap who is nearly destroyed by the maneuverings of his anti-British uncle. As in Sanders , it is British authority that intervenes to save the legitimate government that is conveniently friendly to them. Once again, authentic Indian exteriors lend the film a contemporary semi-documentary look that is only somewhat at odds with its archly conservative politics and evocation of a Kiplingesque past. More successful was Korda's version of the imperialist classic Four Feathers , which had already been filmed several times previously. Four Feathers is a meditation on the loyalty and responsibility demanded of the ruling classes; it simply assumes the rightness of British rule in Africa, which forms the exciting background to what is essentially a morality play. Refusing to sail with his regiment to the Sudan, a young officer, the scion of a military family, overcomes his disgrace by traveling to Africa, disguising himself as a native, and helping out his regiment and friends as they defeat the Khalifa and his "fuzzy wuzzies." Novelist A.E.W. Mason's story depends on a seemingly unending series of implausibilities, but the film manages an impressive realism through its reliance on authentic exteriors; even the London sequences are startlingly unstagy. Battle scenes, making use of native extras, are especially striking and well integrated within the story; unlike Drum , the film achieves a nice balance between plot and spectacle, for which it was nearly universally praised. At the close of the thirties, the boom in British production came to an end, a finale symbolized perhaps by the overblown The Thief of Bagdad , which Zoltan directed with a number of others. Here Kipling's story was overloaded with an ineffective subplot and a surfeit of spectacle in which Sabu, sometimes reduced to miniature proportions, seems lost. Zoltan Korda's contribution to film history rests primarily on his role in London Film's imperialist epics, though he showed no little talent in projects not overseen by his brother Alexander. Sahara , a wartime Hollywood production, demonstrates Korda's ability to elicit and manage effective performances from a varied ensemble cast; it is a suspenseful, well-paced film, with action sequences, benefiting from U.S. Army assistance, that are nearly up to the high standard of Four Feathers. 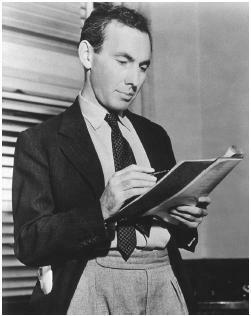 Korda was helped in this film and his next, Counter-Attack , by able scripting from John Howard Lawson, though even this talented scenarist could not disguise the second project's origins in a stage play. Both are essentially psychological, even ideological dramas, handled adroitly. They are far removed from the Boy's Life derring-do of the imperial films, whose characters are never allowed much depth. Had he spent more of his career in different production circumstances, Korda might be more noted today for these dramatic abilities. Both The Macomber Affair (despite its African jungle setting) and A Woman's Vengeance are involving melodramas in which the director affords his actors the opportunity to create nuanced, affective performances (Gregory Peck in the first of these, and Cedric Hardwicke and Charles Boyer in the second are especially impressive). Less worthy is an ill-considered remake of Four Feathers titled Storm over the Nile , whose action sequences are well designed but cannot save the absurdities of the plot from generally uninspired acting. One film stands out from the latter point of Korda's career, an adaptation of Alan Paton's celebrated study of South African racism, Cry, the Beloved Country. Here Korda offers up a very different Africa from the one he had brought to the screen in Sanders. The blacks victimized by an oppressive system are not simple peoples in need of a benevolent paternalism; they are shown to possess a culture as complex and worthy of respect as that of the Europeans who have deprived them of their traditional way of life. It is perhaps fitting that Korda in his last years had the opportunity to critique the colonialism that many years before he had done so much to celebrate.